The Australian Outback is a vast, mystical place. Many have come to explore its red sands and spinifex, sometimes with success, but often explorers face disaster. If you don’t come properly prepared, you will almost certainly run into serious trouble. Since our first trip together to Sydney in 2005, we’ve talked about making this epic journey. It’s now our turn to see what all the fuss is about as we embark on a road trip to explore just a tiny portion of Australia’s mighty Outback. It’s not a simple undertaking to plan this type of epic road trip. 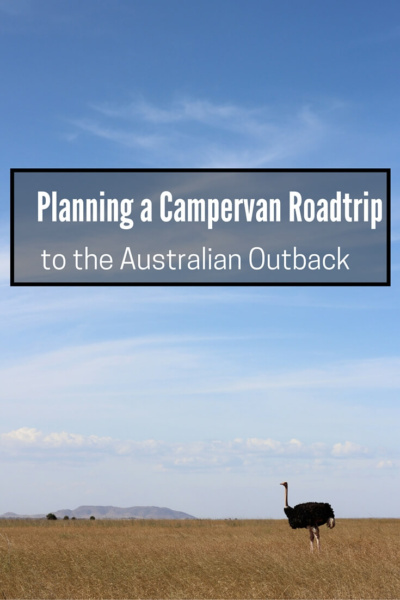 We’re using this as an opportunity to test drive the campervan as an option for our even larger road trip: Our (re) Discover Australia road trip. 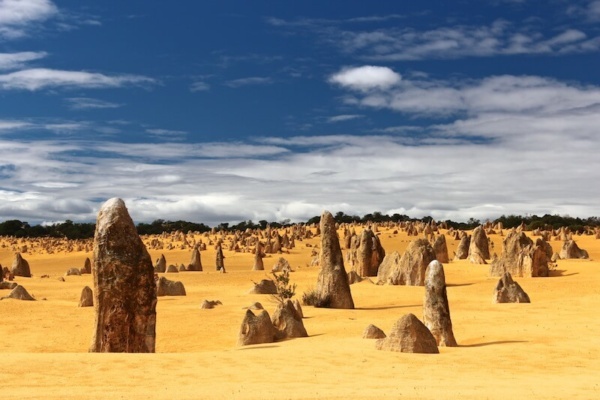 We’ve touched on our transportation conundrum for this larger trip in our post: Discovering Australia: Planes, Trains or Automobiles? This is our first step towards finding the ideal solution. 1. How much space do we need to be comfortable for 10 days (without killing each other)? 2. Do we need a shower and toilet on board? We decided that the extra cost of an on board toilet and shower was just not worth the convenience. A little Googling revealed plenty of public toilets along the way. We’ll need campgrounds to recharge the van anyway, so we’ll have access to showers and toilets there as well. Besides, neither one of us was thrilled to have to manage a septic system. 3. Can Rich drive a manual transmission in Australia? While he’s had years of experience driving a manual in America, here it’s driving on the other side of the road AND dealing with the gearstick on the opposite side. PLUS, it’s been many years since he’s last attempted it. Ha. Rich’s response: Challenge Accepted. 4. Is the option for diesel engine available to keep fuel expenses down? We decided against choosing a van with a diesel engine. The gains in fuel efficiency were outweighed by the cost of the rental fee. However, a lot of extra bells and whistles are included in the extra fee so that may be a consideration for next time. For now, we want to see if we can do ‘bare bones’ comfortably. 5. Should we find ourselves stranded, what is the campervan company’s support like? Again, if you don’t see a follow up post, we didn’t make it… Ha, just kidding. Really. Rich and I have two different mobile services. If one of us doesn’t have service, the other generally does so we’ll be able to call for help from the rental company 24/7 if needed. Besides, this is Outback N.S.W. The people are lovely and willing to lend a hand. Chances are, they have been on the other side of the at one time or another. 6. Are we needing to stay in camp grounds or can we free camp? To maintain the on board appliances like the refrigerator and water pump for the sink, we have to charge the dedicated battery every couple of days, so this one was sort of decided for us. We need to stay in powered sites more than we would have liked, but that’s the price of this kind of adventure. 7. How do we stay warm at night in the Winter desert? 8. And of course, how much is this trip going to cost? If we stick to the plan, we’re looking at around $1400 for 11 days on the road. Most of this amount is for fuel but it also includes the cost of the campervan, food (beer) and experiences, Our campervan was actually pretty cheap. Of course, it all depends on how we actually go with the campervan. We’re already discussing a hotel stay in Mildura before for a decent bed and hot shower before we round the corner back to Sydney. Once we decided on our campervan choice, it was on to planning the rest. Rich loves to research the places we explore before we head out. After he read about the English explorers, Burke and Wills, we changed the itinerary (adding about 500km) to take a look at the area around Menindee, the base of the Burke and Wills expedition. Instead of driving a linear path to Broken Hill and back to Sydney along the same highway, we decided to dip down to the Murray River region and then drive back up via the Riverina region, through the Southern Highlands and then back to Sydney. Our itinerary quickly came together. We based it on how far we were willing to drive each day to see the places we really wanted to explore. Given the road trip is approximately 2900 km (or 1800 miles), that’s a lot of driving over a fortnight. Bushwalking in the Blue Mountains. Discovering indigenous carvings and rock paintings. 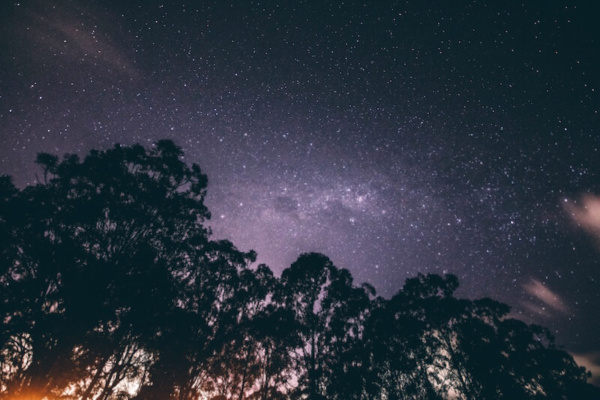 Sleeping under the stars of the Milky Way. Having a beer in an underground town. Checking out the Mad Max museum in Silverton before having a beer at the only pub in town. Photographing the remoteness of the Australian outback, as well as the Darling and Murray regions. …And that’s just touching the surface. (And a possible check-in at rehab for all the beer we seem to plan on drinking). If you’d like the detailed itinerary on our roadtrip, including links to our accommodation, places we recommend along the way, sign up for our newsletter and you can access it as a community member. You can also get access to our New Zealand Highlight Tour and our Great Ocean Road Road trip. *An affiliate link was used in this post for the TripIt App. We do not promote any brand we have not used or experienced for ourselves. All opinions are our own. Please follow our advice at your own risk. By clicking these links and making a purchase, you help support the Travel Far Enough website as we get a small payout from links. For that, we thank you. What advice do you have for us in taking a campervan road trip? Like It? Feel Free to Share It!